From quadcopters that use radar to map 3D environments to self-automated systems that launch themselves, drones are getting more and more sophisticated with every passing week. Sadly, controlling these flying contraptions remains an unrefined art - that's where a new six-axis joystick comes in, giving you all the dextrous control you need in the palm of a single hand. 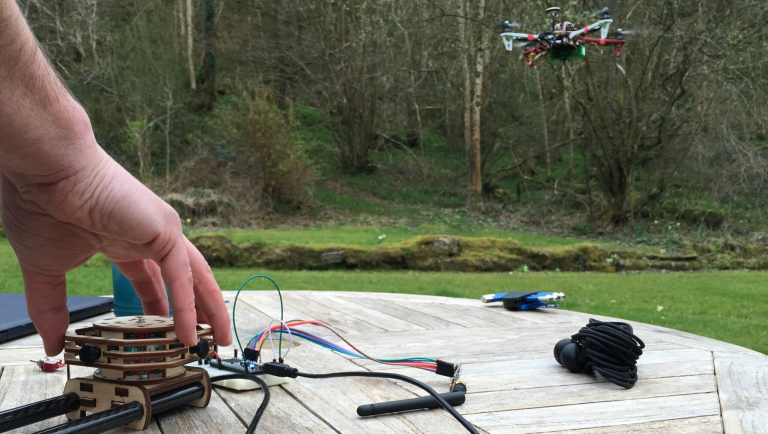 This brilliant little creation is the work of Bath-based startup UNMND, a group of engineers who have spent the last two years tinkering with various types of quadcopter and drone to build a control system that feels as intuitive and as smooth as controlling something similar in a videogame. And for those of us who like to strap a 4K camera on one, maintaining smooth flight and capturing great footage feels like the holy grail. "Our six-axis joystick (XYZ plus rotation around each axis) is so easy to use that even someone with no flight experience or gaming background can now control and fly a drone easily," says co-founder Ed Elias in an interview with T3.com. "Performing complex actions with a single hand. Imagine the ring of the joystick is your craft and simply move it as if you were holding the drone itself." The firm - which has already started to make a name for itself building a tethered power accessory for Dorset Police that can upgrade most small drones to provide indefinite flight times - got the spark of inspiration for the unique joystick while working with a fellow Bath-based engineer on some multiaxis magnetic sensor systems, and Elias hopes to engage with the hacker community and tap into that resurgant love for dogfighting and space exploration games. "Our long term goal is to crowdfund a fully functional open source drone joystick that can plug and play with your existing craft," adds Elias on his hopes for the future. "Giving anyone the most intuitive flight experience possible." Head on over to the official UNMND site for more info and give its growing portfolio a browse.